Astronaut? Cowboy? 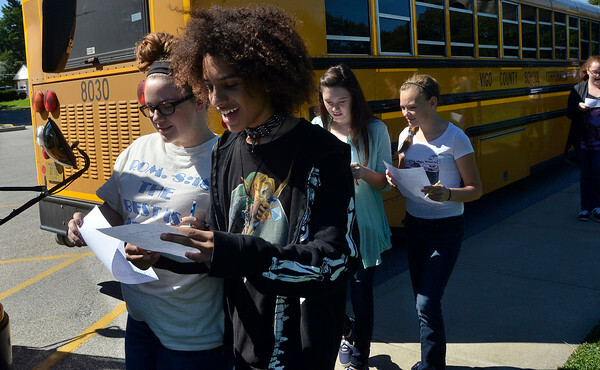 : Izabella Drake and Jadon Edwards, both eighth-graders at Otter Creek Middle School, compare the careers they were randomly given after they arrived at Woodrow Wilson Middle School on Tuesday. The two were participating in the Let's Get Real program and were given carpenter and business development associate, respectively.